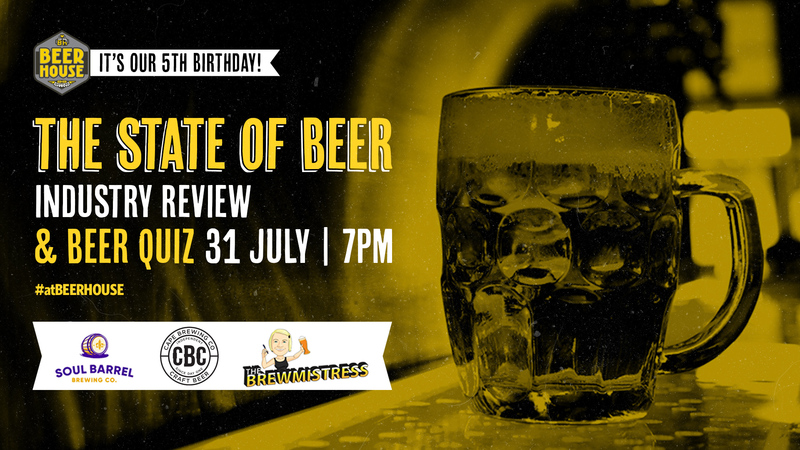 Tuesday 31st July: ‘The State of Beer’- An industry review. Beerhouse has always championed the BEER revolution and believes in inclusivity. We curate a beer menu that includes macro and micro beers and is committed to the education of the market. We are in a great position were we observe both macro and micro challenges to the market and wish to create dialogue to increase further cooperation and education. The open discussion will take place at Beerhouse with a live and streamed audience. The intention is to create transparent dialogue in an open forum focusing on the current state of the industry and the challenges it faces. Are you smarter than the Beer Whisperer? Build a team of beer nerds and let’s see. This Wednesday we have a very special Bottomless special! Grab BOTTOMLESS BEER with your Bottomless Ribs for only R299! 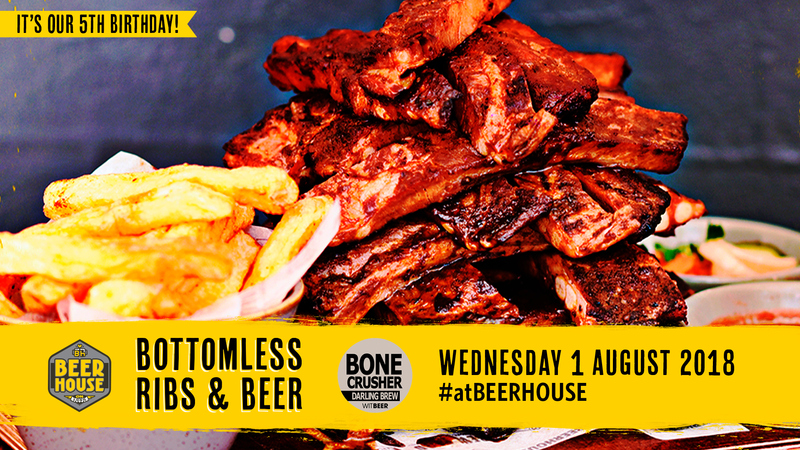 If you aren’t into the bottomless beer top up, you can still get our delicious Bottomless Ribs for R130. Beer brought to you by Darling Brew. Our now famous First Thursday Live music vibe and International IPA Day, it’s a double whammy! 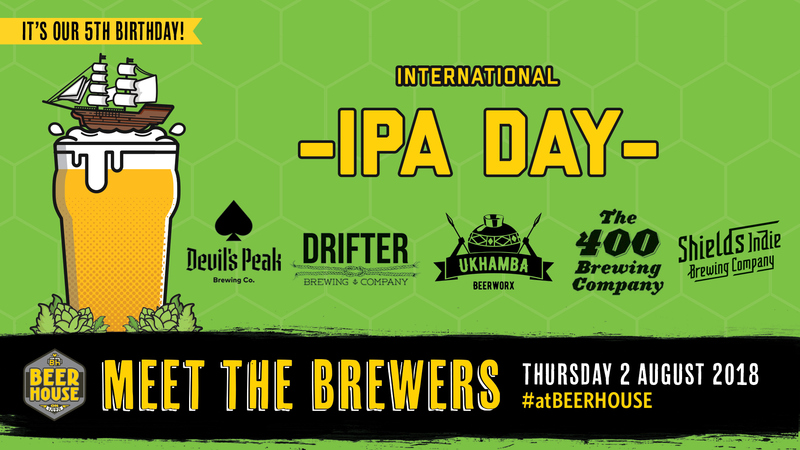 Meet The Brewers of Cape Town’s finest IPAs and have a free tasting with a side of beer banter. 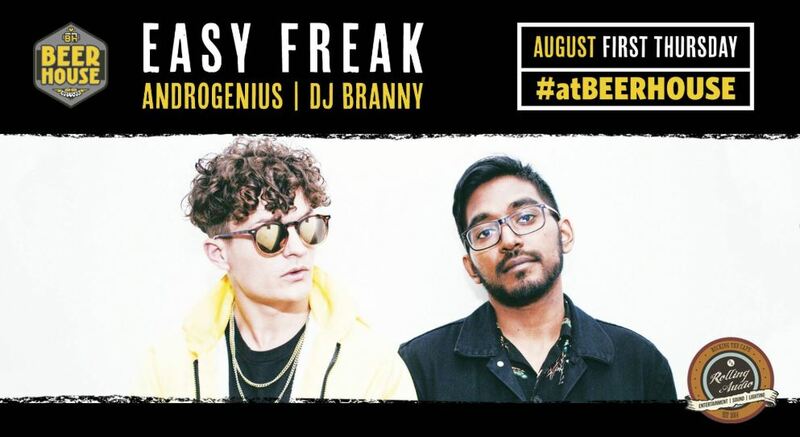 First Thursday promises to bring you NON-STOP partying from 8pm! It’s international Beer day and officially our 5th Birthday. 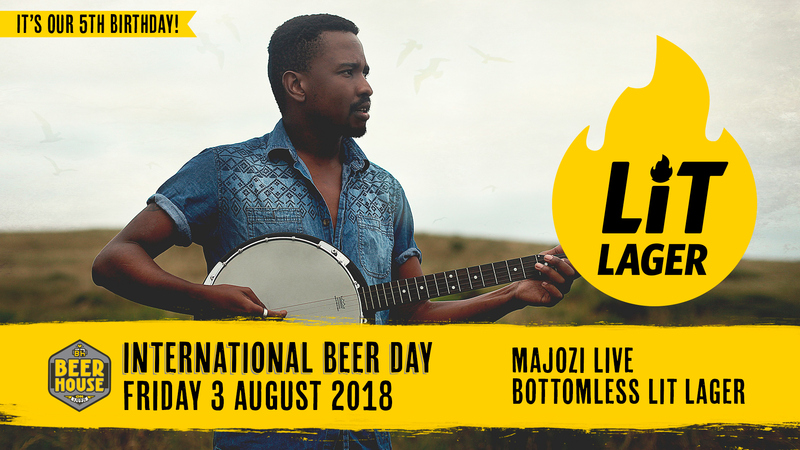 Join us for the official launch of our very own house beer, LIT Lager and sing along to the amazing Majozi.